Usain Bolt is looking to try out with a British soccer team. What athlete that you’ve seen in the Olympics would you most like to see trying out for an American baseball team? Olympians turned baseballers? I like the way you think, Ethan. And I welcome the possibilities! I can’t help but think Michael Phelps would look good in Yankee pinstripes. The man has 20 Olympic medals — hardware that would surely look good next to 27 World Series trophies. And let’s face it, the dude has earned the right to be as cocky and off-putting as he is. He might not have Derek Jeter’s golden little black book yet, but some time around the Captain and soon he too could be kissing mirrors of himself. 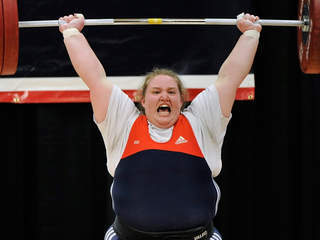 When it comes to actual physical strength though I might suggest Holley Mangold take up a spot in the American League as a DH. She wouldn’t have to actually do much running or having anyrefined skills other than swinging for the fences; and accounting for her already buoyant build, I don’t think we would have to worry about any Giambian steroid scandals. Of course, no baseball league is complete without its lovable losers. And considering how much crying Jordyn Wieber did in the 30th Olympiad, I think she’d be a perfect fit for the Chicago Cubs. But let’s not forget, when it comes to an Olympian I want on my baseball team, there is no one other than THE Usain Bolt. Holy jerk chicken, that guy is a bonafide SUPERSTAR!!! Have you EVER seen anything more exciting the last 4 years than watching that man run!?!?! Unbelievable! I’d want him in center field, catching everything in between the foul poles. At the plate, I’d have him try to walk as much as possible, just to mess with the opposing pitchers’ mind before taking off to fly around the bases. And look out if he actually hits a ball out of the infield, ‘cuz dude is gonna turn singles into doubles and doubles into inside-the-parkers! Not only that, but Bolt is also insanely entertaining in the most endearing of ways — a happy-go-lucky clowner who can back it up with performance as opposed to the psychotic shenanigans of a WAY less talented Tony Plush. 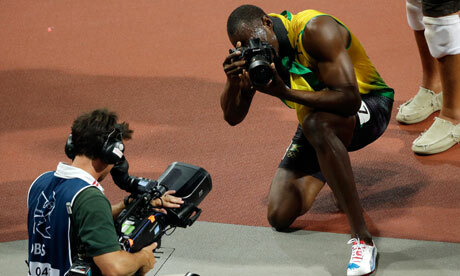 Forget soccer, Mr. Bolt, please come wear the birds on the bat. Jason Giambi and Babe Ruth wore the same uniform. Babe probably weighed a little more but they both played relatively the same role. Their job was to smack the hell out of a baseball. There’s no denying that Babe was much better at this job but you also wonder if Giambi were magically transported back in time, would he have had the same type of career. The point here is that evolution makes comparison difficult. Jim Thorpe was a great running back. But would he even be competitive in today’s game? Technology, nutrition, education. All of these aspects contribute to the evolution of the game and I believe it’s safe to say that they contribute to our own personal evolution as well. Sometimes evolution takes a scary turn, though. For instance, in football the evolution of the game has led to increased speed and power but our skulls haven’t gotten any thicker and our brains haven’t developed any more cushioning. Sure, helmet technology has mitigated some of the risk but the increased incidence of concussions and the NFL’s crackdown on hits to the head shows that sometimes evolution has downsides. It’s also a little scary when evolution decides to use the fundamental building blocks at hand and go in a totally different direction. There are more benign instances like the devolving paths taken by baseball and cricket. But there are also truly frightening paths like when organisms decide to incorporate previously deadly substances into a new recipe for survival. I’m not saying that this is the end of life as we know it any more than a pitcher throwing the ball 105 MPH is the end of baseball as we know it. Evolution and adaptation require a long-term view, not some sort of immediate, knee-jerk reaction. But I sure hope the arsenic monsters don’t come after me. Is it good or bad at this point to be a citizen of or coming from a “country of interest?” If you look at the upside, you get to enjoy the feeling that comes with the friskiness of a full body pat-down. On the downside, well, you get the feeling that comes with the friskiness of a full body pat-down. If you tend to think that this smacks of profiling, congratulations, you are now able to recognize the obvious! Of course this is profiling. There’s a reason why fourteen countries are on the list and there’s a reason why it’s a specific 14 countries. It’s the same reason why any PED testing scheme should focus on people who suddenly change shape (I’m looking at you, Giambi), people who are performing at very high levels after sickness or late in their career (this means you, Armstrong and Clemens) or people who’s production suddenly and inexplicably increases (yeah, Sosa, you’re on the hook for this one). If you’re looking for fire, it’s not a bad idea to try checking out the smoke. Now, I’m not saying that I agree with the idea of profiling. Basing any kind of scrutiny or regime on just someone’s ethnicity or some other factor is not going to stop anything in the long-run. Timothy McVeigh wouldn’t have been caught by this nor would the Unabomber. There’s no real substitute for random testing, good intelligence and rigorous processes. Short-term, though? Something has to be done. The real issue is that when problems are identified, whether it be security lapses or inadequacies in testing, knee-jerk responses tend to be the flavor of the day. The reality is that we need to find the balance between being authoritarian and being lackadaisical. Would a pat down have necessarily stopped the alleged Northwest flight bomber? Who knows but I’m guessing probably not. Would a fully implemented randomized testing program have kept Barry Bonds from the home run record? It’s hard to say. But it’s a place to start. Who is more despised by the RSBS guys? Yankees or Cubs. I haven’t figured it out yet. Maybe I’ll begin by asking a question of my own. Who was a more insignificant president, Benjamin Harrison or Millard Fillmore? Or perhaps it makes more sense to ask something slightly different, like, who was a more brutal dictator, Stalin or Mao? The point I’m trying to make here, Brad, is that there isn’t necessarily an answer to your question. Wanting to know who is more despised, the Yankees or the Cubs, is like asking what does Indiana Jones hate more, bugs or snakes. When it comes down to it, the Yankees and Cubs aren’t all that different. They have both been spending money like a hobo in a liquor store, dropping every last penny on whatever rot-gut might make them warm for a second. Milton Bradley is just a poor man’s Jason Giambi once you leave Bradley’s temper and Giambi’s juice out of it. And up until this season, the results were pretty much the same. Make the playoffs, head to the playoffs, crash out of the playoffs. The equation shifted a bit this year, though. Now, it’s safer to say that the Yankees are Stalin to the Cubs’ Hitler. It was all going so well for the Cubs until it all fell apart. And the Yankees may have almost driven their base over the edge with the profligate spending and tax-payer financed multi-billion dollar ballpark but, like Stalin, nothing brings the masses back in line quite like victory. All that being said, I still don’t know as though I can say that one of those two teams is more despised here at RSBS than the other. I can say, though, that after thinking about it a bit more, although Indiana Jones really didn’t like bugs, he hated snakes. And the name Steinbrenner sure does have a sibilant sound to it, just like a snake. Coincidence? Probably, but I’m willing to forgo the formalities and declare the Yankees the more despicable. Yeah. That is the same guy. Trust me. 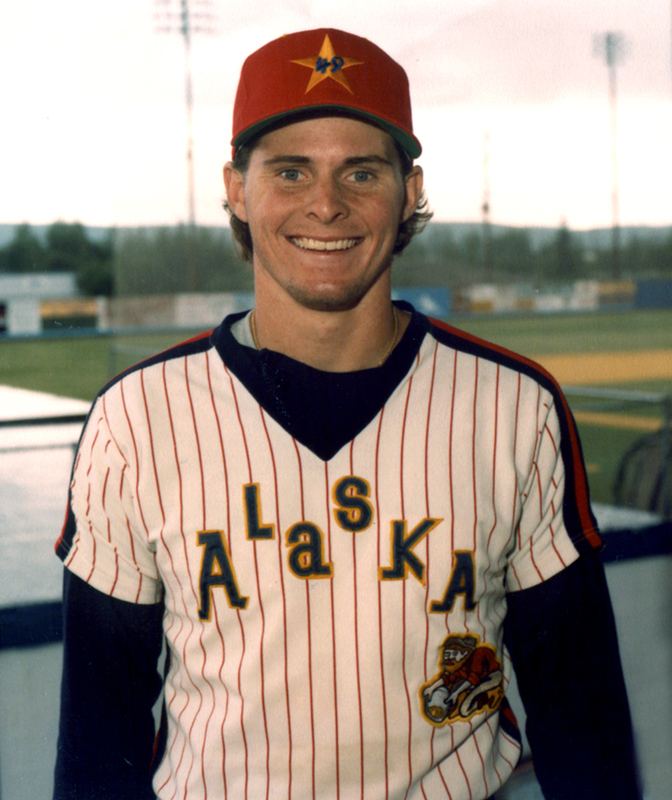 And if you analyze his stats, you will notice a surge in the power department during the years Mr. Giambi was admittedly jivin’ on the juice. Sure, there was some inherent talent there; that’s the only way it works. Put me on some ‘roids and you will just end up with a big, nerdy ogre-man who still can’t hit a slider. But Jason Giambi? Dear readers, the man has declined. Despite a serviceable 2008 where a mysteriously magic mustache allowed him to overcome his initial ‘roid-wreck, the 2009 feel-good reunion with the Oakland A’s brought nothing but disappointment — so much so that Billy Beane couldn’t find any use for him at all. 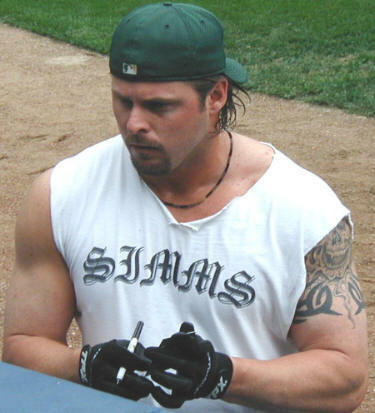 Well, even with all his faults (that vomit inducing .193 batting average in particular) I suppose baseball must love Jason Giambi because the Colorado Rockies just signed him to a minor league deal. I watched MLB related news and programming all night long and no one even mentioned this. And if no one cares that the Rockies signed Jason Giambi, then absolutely no one will care that the Rockies also signed Russ Ortiz. Sure, the Rockies may be in the thick of the playoff hunt, but neither one of these acquisitions will factor into any type of potential success. They are both large and looming disappointments — let-downs determined to strike out with the bases loaded, to give up a grand slam, to muff into oblivion. Hate me ‘cuz I hate on the dynamically duddy duo of Giambi/Ortiz, just don’t hate me ‘cuz I’m right. Produced, shot and edited by Atonal Studios. Special thanks to Theo Roll. California knows how to party. Texas and Washington? Jesus and rain. How did these teams end up in the same division anyway? And don’t forget to check in regularly over at The Max blog to vote in their ongoing March Madness tournament pitting the top 32 MLB fan blogs against each other. It still remains to be seen what the ultimate consequences of the steroid excesses in baseball will be. There are the obvious effects when guys like Pudge get smaller overnight and guys like Jason Giambi no longer put up the same numbers. And in fact, an early result seems to be a bit of an overall downward trend in ballplayer size these days, with smaller guys like Pedroia winning awards and huge contracts. The NY Times, in its continuing series “Why the mainstream media is barely relevant: Stating the obvious three years after the fact,” points out this very same fact. However, there are more important questions that need to be answered and I am not satisfied with their coverage. For instance, we all know about Derek Jeter’s romantic entanglements with women like Mariah Carey and Jessica Biel. I applaud that. But why is he now dating a 22 year old? I mean, this guy is five years older than me and I’m pretty sure if I was dating someone barely old enough to legally drink, my family and friends would wonder what was going on. Pudge may have hit the Slimfast but at least he isn’t robbing the cradle. All I know is that it’s hard to feel bad for a guy like Jeter who is so cavalier in his profligacy. But even that is better than A-Rod with his she-males and Joba with his strippers. And it definitely beats talking about PED’s. Thank god New York has a family man like CC around now. Perhaps it will make up for the loss of the one guy who always kept things real by wearing his emotions on his shirt sleeve. 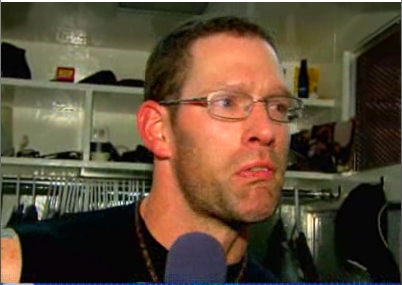 Where are your tears when we really need them, Farnsworth?